Paul had a mould made of one of his pieces last week. Thomas Winstanley from London Bronze Casting came to the studio and spent several days carefully applying the mould in layers. 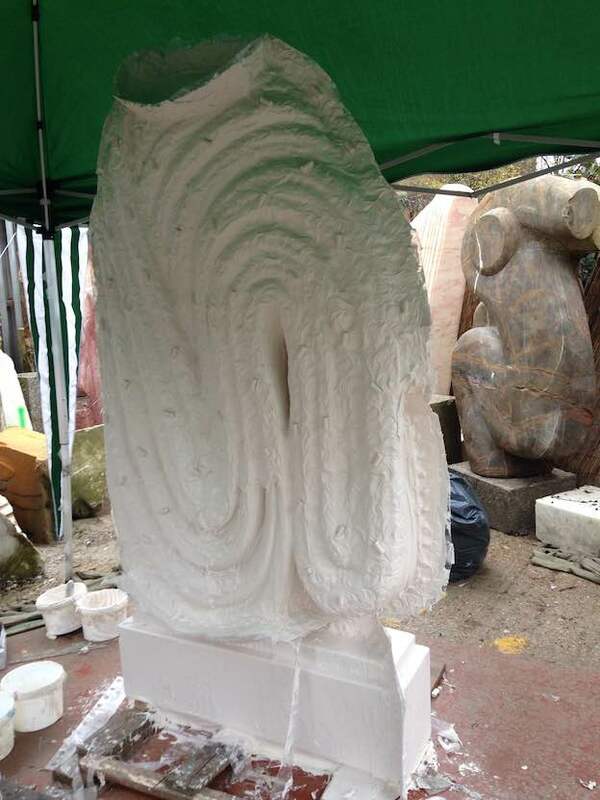 The mould is now at the London Bronze Casting studio and we look forward to seeing the bronze cast in a few weeks. The finished sculpture will be ready for shows in the Spring. This entry was posted in news on December 9, 2014 by Paul Vanstone.